Whether to use an architect is one of the first questions homeowners about to renovate face. It can typically add 15 percent or more on top of construction costs, but if you need help with your new home’s design – plus have a demanding full-time job or have never done a renovation before – it may be worth the money. And if you’re taking on an extensive project that requires building permits, you must recruit a licensed architect for at least some aspects. Here are five steps to follow when hiring an architect. Ask friends, neighbors or your broker for referrals. Look at renovations online (on Brownstoner, for example) and call the firms behind projects that match your style. Check to see if your co-op or condo management office has a list of preferred architects that know your building’s idiosyncrasies. Meet architects at your site – most should do this for free and are willing to meet at a property even before you’ve made an offer – and listen to their ideas for your dream home. Speak to client references and don’t be afraid to ask tough questions such as: Can you give me an example of a time when you had a disagreement with the architect and how it was resolved? Even if you love your architect, “there will be days like that,” warned a Crown Heights reader who recently completed a gut renovation. 2. Make sure it’s the right fit. The project could take months, so pick someone you get along with. “It’s 99 percent chemistry,” says Jim Hill, principal with Urban Pioneering Architecture. “Clients need to feel comfortable with the architect; it’s not just about numbers.” Make sure their experience is appropriate for your job, too. You’re hiring them to make your life easier, not to be a guinea pig. 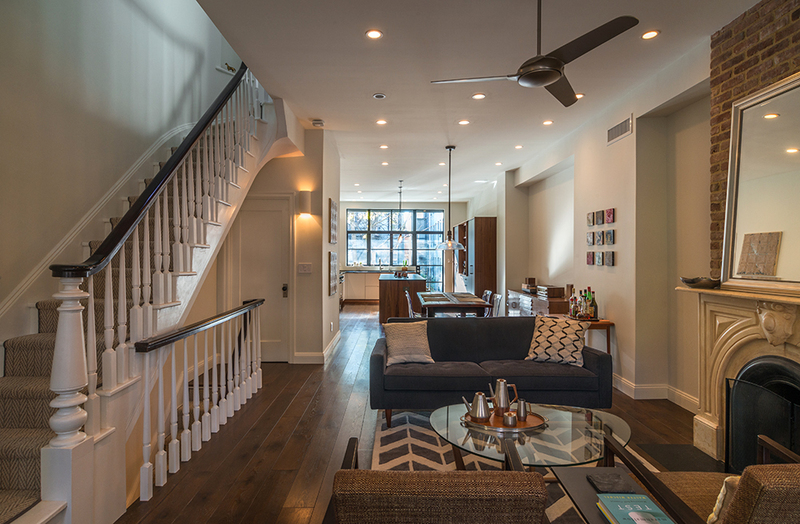 A Carroll Gardens resident nearing the end of a renovation chose her architect in part because the firm had an extensive portfolio of restored brownstones, mirroring her own project. “They knew how to navigate the process,” she told Brownstoner, including the bureaucratic hurdles of renovating an old house, such as altering a landmarked building and changing the certificate of occupancy. Bear in mind, too, any special circumstances you may have, such as financing with a construction loan – where the bank lends funds based on a construction timetable and amount of work completed – and select a firm versed in working within those confines. 3. Decide on the scope. Are you hiring the architect just to design your bathroom, to do drawings and filings only, or to manage the entire project down to curating finishes like doorknobs and paint colors? 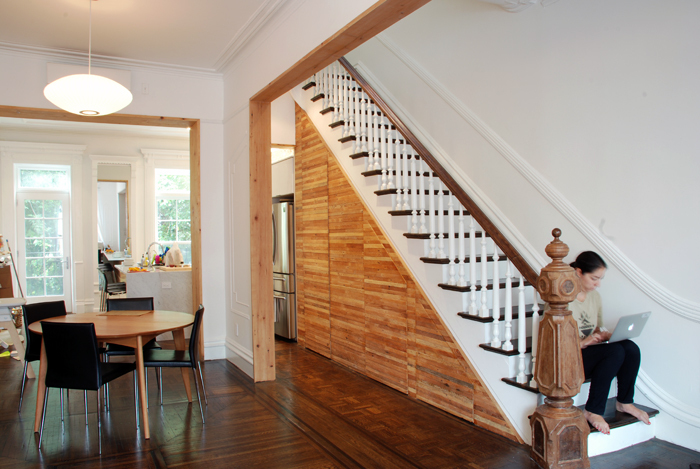 A homeowner in downtown Brooklyn hired an architect just to draw up plans for her kitchen. “I wanted to do something interesting and different,” she told Brownstoner, and sought an architect to help maximize the space in the relatively small kitchen of her 1950s co-op. Some homeowners work with an architect until they’ve picked a contractor and then proceed solo. It’s up to you how much or how little you want to use an architect. Architects, on the other hand, advocate for using their services from start to finish. Bhavesh Shah, principal with Open Studio, prefers to work alongside clients until their project is complete. “I can’t just give clients a recipe for construction because unexpected things come up,” he says. 4. Sign on the line — once you examine the fine print. After you pick an architect and iron out the scope, they will provide a proposal. The American Institute of Architects has several versions of an architect-client contract many firms use, but some use independently drafted contracts. Read the fee structure carefully so there are no surprises. Some architects simply charge a percentage of the entire project while others charge hourly. Some do a combination of both. For example, an architect might charge a flat fee to draw up plans for building department permits or to help facilitate any required asbestos testing. Other interior design work and sourcing of materials may be hourly. If the firm is sourcing materials like tiles and plumbing fixtures for you, ask what their markup is or if they pass on part or all of their industry discount. Talia Braude of Braude Pankiewicz charges a percentage-based fee (that is, a percentage of the entire project). This includes full architectural services from the very first measurement until a year after construction if any warranty items need to be addressed. She notes that some architects charge line-item amounts for extra services and that clients should ask for a full list of additional services in the architectural proposal. “I’ve seen clients get burned before with hundreds of dollars in extra services for work they had no way to know they needed,” she warns. Don’t be afraid to negotiate any points you’re not comfortable with, after doing your research. The Crown Heights reader pointed out that “It’s just like if you get a job offer – you should research the industry standard, which Brownstoner is good for.” If it’s your first time using an architect or you’re unsure, you may want to consult an attorney for good measure. After these details are ironed out and you’re ready to sign the agreed-upon contract, you can typically email, fax or mail back the contract and send in an initial payment. And you’re ready to get started on your new home! 5. Expect the unexpected and don’t second guess yourself. Hiring an architect will save you legwork and time but it’s not a guarantee that the project will be tidy and organized, nor on schedule and on budget. Have confidence in your decision and know that in spite of your best-laid plans – or drawings and specs – during the course of construction, unpredictable things will come up. Some glitches will be easy to resolve and others may add time and cost. Whether you hire an architect for some of the design work or to hold your hand the entire way, they will add value, if not just to provide a professional perspective. 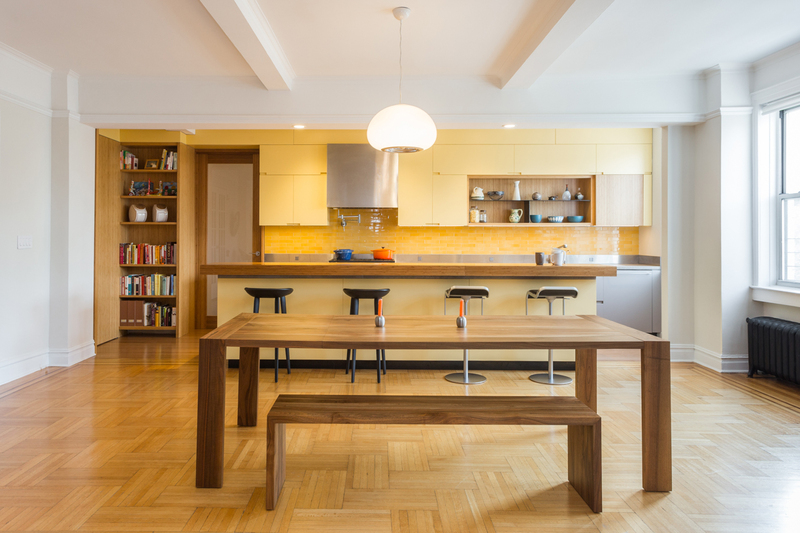 The Downtown Brooklyn homeowner who is renovating her kitchen appreciated her architect’s trained eye. “Architects really help you look at a space in a different way,” she said.